How does a mustard seed have faith? It seems that ‘faith’ is typically thought of as believing without reason. Yet, we are rational creatures, it seems that believing without reason is, well, irrational. Are we being fully human if we are being irrational? Can you truly believe without reason? To paraphrase Socrates, is an unexamined faith worth believing? Perhaps not. How else can we think of faith? What if, when we say “faith” we actually mean “framework for investigation”? Is that different from the idea of “framework of belief”? Is it possible that some a priori belief is necessary to reason? Is it not true that what we bring to an investigation affects the answers we find? Even if we are only looking for facts, is it not true that we will simply miss some facts because we aren’t looking for them? Or conversely, is it not the case that we will see facts that we want to see? Or interpret facts to fit our framework? This idea is called “confirmation bias” and it is considered a fallacy in formal logic because it means that we will see the evidence that supports our position, and not see the the evidence that does not. But, can we truly be rid of confirmation bias? At some other level, isn’t confirmation bias simply necessary? It seems that we may be stuck with confirmation bias, so we should perhaps choose our biases carefully. It seems the case that in the empirical sciences a specific framework of belief is adopted in favor of some competing framework. A choice has been made. Don’t the investigative sciences start with the belief that there are in fact things to investigate and that such investigation is worthwhile? Descartes explored the idea of what can we know and how do we know, and determined to set aside all previous thought and start from scratch. His endeavor led him to the famous statement “Cogito ergo sum”, I think, therefore I am. Was this a product of a soaring ego, determined to start from scratch and ignore all thought before him? Or was it simply an honest attempt to rigorously lay a foundation for rational thought, due to a suspicion that something could be wrong with the centuries of previous conclusions? A belief that there was fruit to be found by exploring this suspicion? Is there a difference? What did this thinking of Descartes provide? What did we gain, and what did we lose? On the one hand, many will argue that we gained a formalized scientific method. On the other hand we lost the concept of Truth with a capital T. The question that used to be asked, “What is true?” was replaced with “Of what can I be certain?” These are different questions and their answers are bound within the framework under which they are considered. Less immediately obvious, and the reason why Descartes is called the father of modern philosophy, is the overthrow of Aristotelianism (a sort of systematized common sense world view) in favor of, ultimately (and perhaps to his dismay), a materialist world view. Whether this is good or bad depends on who you ask. The point is, we have different world views in discussion these days and they are the result of certain frameworks for investigation. Or, to put it differently, everyone has a belief system. Leaving off from this admittedly non-rigorously developed first way of thinking about faith, we shall move to the second, which presumes the first. 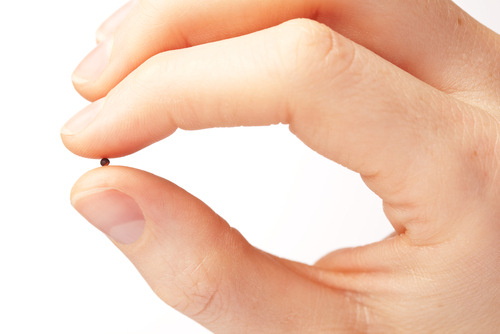 If you had faith as a grain of mustard seed… how does a mustard seed have faith? What does that mean? Does it have to mean anything? If not, then what is the point of the story? Of the whole Bible? Why read it? The Bible is full of these bizarre stories. Are we supposed to just accept on faith that they are there for some inscrutable reason? What’s the point of that? So, what does it mean to have the faith of a mustard seed? Can we suss it out? Let’s investigate. What does a mustard seed do? It grows into a mustard tree. In every case where it is provided the opportunity to do so, it grows into a mustard tree. Not a mulberry tree and not a vanilla orchid. Not wheat, not even quadrotriticale, favorite foodstuff of tribbles. So, what does a mustard seed do? Given the opportunity and amenable environment, it will do exactly what it is supposed to do. A mustard seed, and presumably a tribble, are in complete conformity with the will of God. I don’t know. Sounds like work to me. This entry was posted in Faith, Philosophy, Theology, Works and tagged Theological Conjecture. Bookmark the permalink.